Immediate Occupancy, Closings have begun. 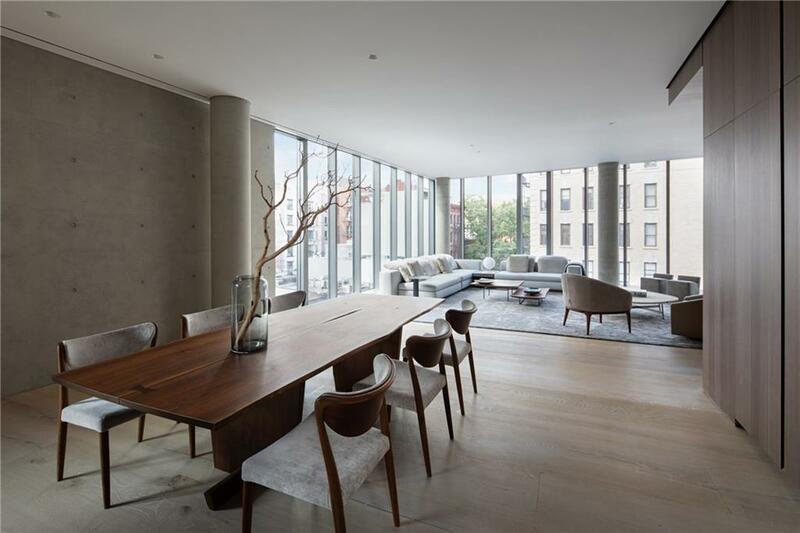 With an exacting eye and generous spirit, Pritzker Prize Laureate Tadao Ando and renowned interior architect Michael Gabellini are making history with 152 Elizabeth Street. 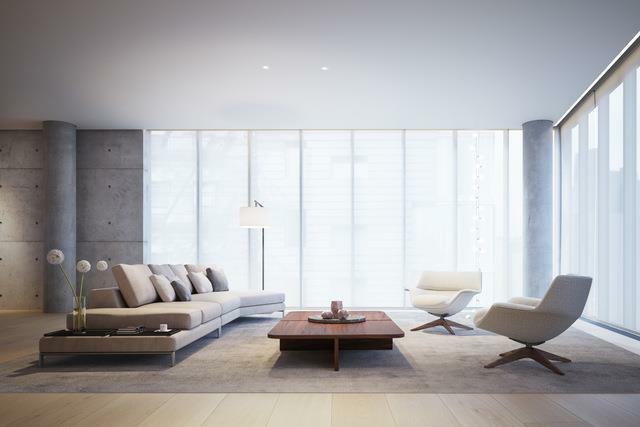 Ideally situated in vibrant Nolita, the building stands as Andos first residential work outside of Asia. 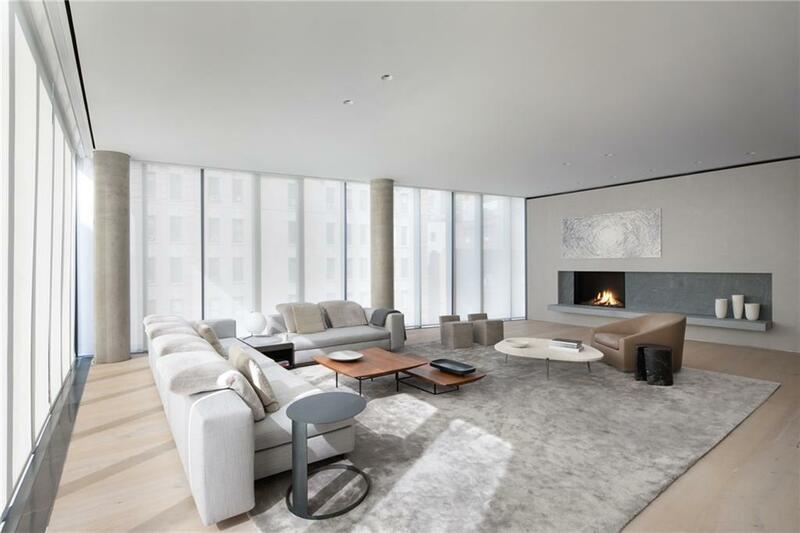 This collection of seven custom-crafted residences ranges from half-floor two and three bedrooms to full-floor four bedrooms and one exquisite penthouse. Completion is anticipated in Summer 2018.Residence 4 is a full floor home that features four bedrooms, four bathrooms, and one powder room. With gracious proportions at 4,158 square feet, the interiors evoke a thoughtful sense of craft and refinement never found in new development. Private, key-operated elevator access opens to a serene entry gallery laid in Pietra Cardosa stone. Recessed, ambient, and cove lighting by celebrated designer Cooley Monato provide a soft glow, and a state-of-the-art humidification system is ideal for the preservation of artwork. The residence is framed by 14-20 Dinesen Heart Oak flooring and wrapped oak corridors, concealed ventilation systems, and architectural wall reveals.The kitchen is tailor-made by Milan-based firm Minimal and boasts honed Fango marble counters, a sliding island countertop, Italian Eucalyptus wood cabinetry, and a fully integrated Gaggenau appliance package. A loggia off the kitchen provides private outdoor space and south-facing views. Adjacent to the grand, open kitchen is a generously proportioned living room, ideal for casual lounging and formal entertaining alike. The hallmark of the great room is a gas-burning fireplace framed by Pietra Cardosa stone and an artisan plaster wall.The Dinesen wrapped corridor leads to the four bedroom suites, each with en-suite baths clad in Bianco Sivec marble with CEA designed fixtures, undercounter glacier white Corian vanities and large-scale optical glass mirrors. Master baths also feature custom-designed stainless steel hardware by Gabellini Sheppard Associates.By thoughtfully weaving eastern and western sensibilities, Ando and Gabellini deliver performance-driven sanctuaries that accurately embrace the transformative nature of that which surrounds. With a high acuity for the senses, each residence offers an atmosphere that is sensitive to interaction while being built for permanence.Amenities include a full-time doorman and parking as well as storage units available for purchase.The complete offering terms are in an offering plan available from the Sponsor. File No CD14-0348. 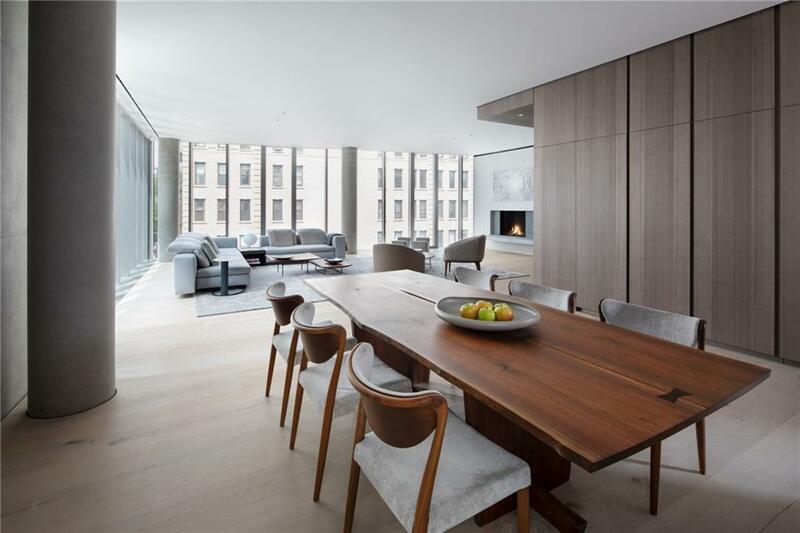 Property Address: 152 Elizabeth Street, New York, New York 10012. Sponsor Name: 152 Elizabeth Development LLC. Sponsor Address: 520 West 27th Street, Suite No 302, New York, New York 10001. EQUAL HOUSING OPPORTUNITY.The artist and computer renderings and interior and exterior decorations, finishes, fixtures, appliances and furnishings are provided for illustrative purposes only and reflect the planned scale and spirit of the building. Sponsor makes no representations or warranties except as may be set forth in the Offering Plan. All square footages and dimensions are approximate and subject to normal construction variances and tolerances. Square footages exceed useable floor area. Sponsor makes no representation that future construction in the neighborhood surrounding the Condominium will not result in the obstruction of the views from any windows and/or exterior space. Sponsor reserves the right to make substitutions of material, equipment, fixtures, finishes and appliances in accordance with the terms of the Offering Plan. Listing courtesy of Debra Lachance of Compass.